Complementary colors (opposites on the color wheel) are bound to attract attention! I mix different shades of blues in old French seed beads with a strand of blue African recycled glass beads in cobalt for a rich blend of colors. A handmade distressed orange ceramic bird is arranged with pale yellow Morrocan clay beads to complement the blues. Add to that, chamois colored flat deerskin leather lace, and tulip shaped solid copper ends, and you have a bold and striking necklace that can be worn anytime of year. My own hand forged copper hoops featuring lampwork glass birds from Nikki Thornberg- Lanagan! 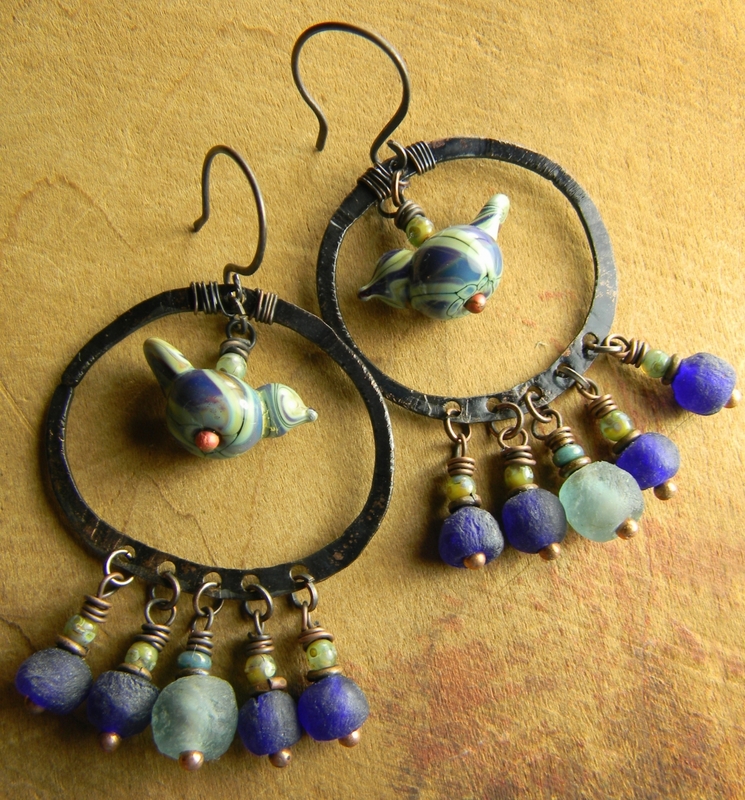 I repeated the pale green and deep cobalt blue in African recycled glass bead dangles from the bottom of the hoops. The combination of the glass and the oxidized copper is wonderful! A truly unique design. 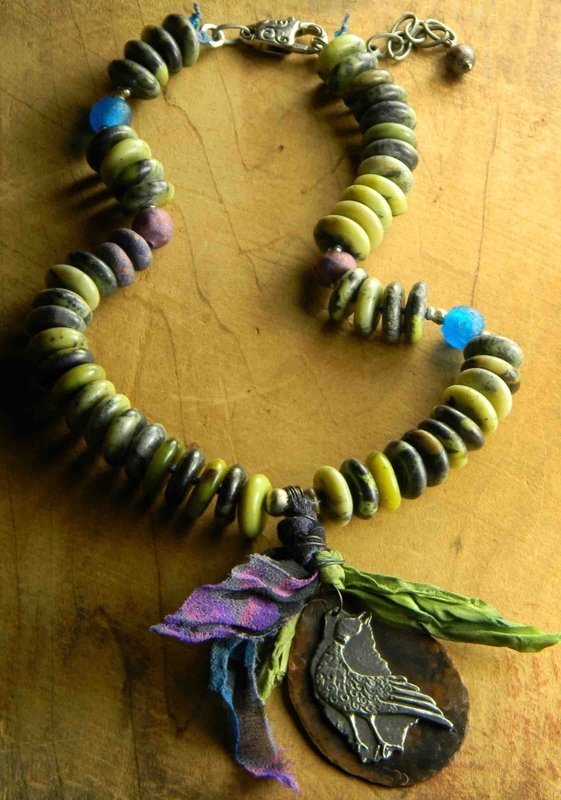 Colorful sari silk and chiffon ribbon surround this gorgeous pheasant like bird pendant from my friends at Inviciti! I have backed it with a hammered copper freeform to make the pewter stand out even more. 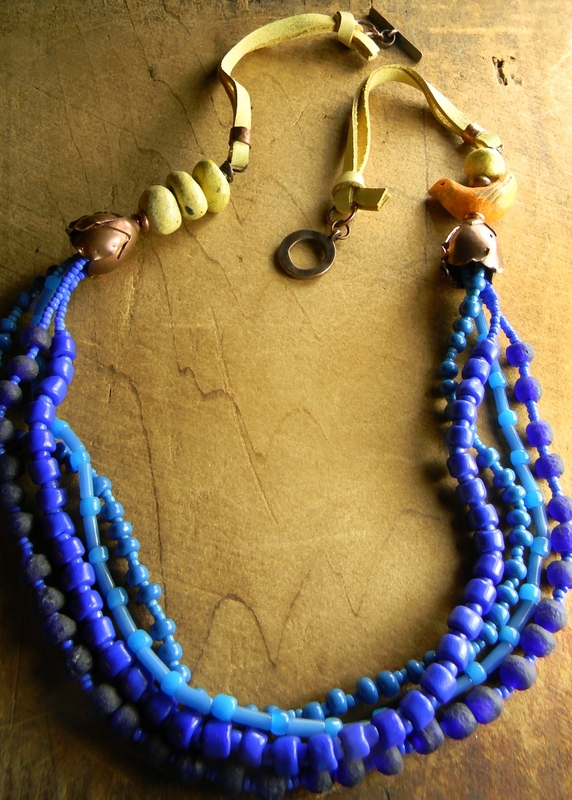 The bead choice for this necklace is yellow turquoise, repeating the colors of the silk, and providing a wonderful complementing color to the copper and pewter duo. 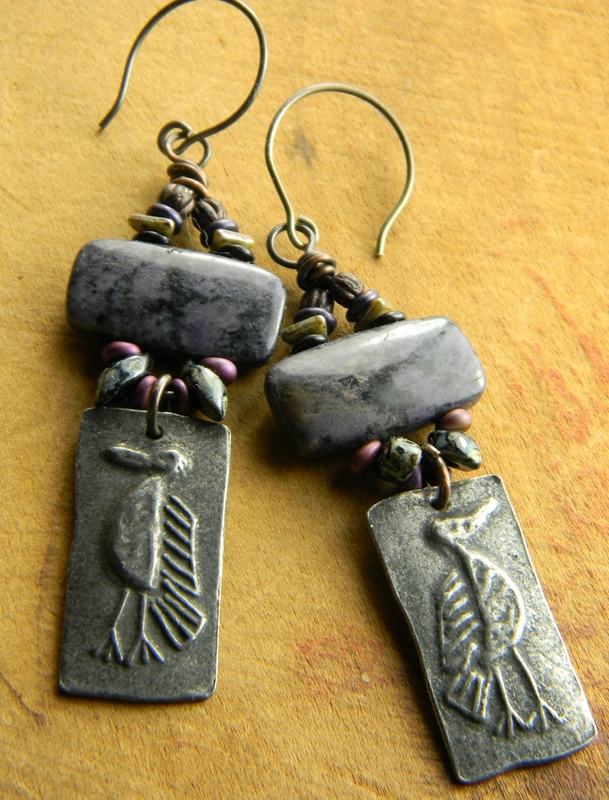 I have a thing for birds in jewelry, so you can expect that there will be more unusual bird themed designs in the future.